Thomas Howdell, SE View of NYC, showing King’s College, 1763. MCCNY. Today, Columbia University held its 261st commencement ceremony. May 22 will mark the 251st anniversary of John Jay’s graduation from Columbia, or rather King’s College (founded 1754). John Jay entered King’s in 1760 (age 14 1/2). King’s was the logical choice for Jay to attend, and not merely because of its location; his family had numerous connections to the young institution. The first president of King’s College, the Reverend Dr. Samuel Johnson, had close ties to the Jay family through Trinity Church, where Peter Jay was a vestryman.1 Jay’s uncle, John Chambers, was a trustee of the college. Sir James Jay, Jay’s older brother, was knighted for his fund-raising efforts for the college and later promoted the founding of its medical college. For more on John Jay’s education, see The Selected Papers of John Jay, 1: 4-34. For more on the history of Columbia University, see Robert McCaughey, Stand, Columbia: A History of Columbia University in the City of New York, 1754-2004 (New York: Columbia University Press, 2003). Note: King’s College suffered from small classes, with even fewer students finishing the course. JJ’s class of 1764 had two graduates out of a class of five, with Benjamin Hildreth (attended 1760–63), Benjamin Payne (attended 1760–62), and James Van Horn (attended 1760–62) not graduating. The following account the King’s College Commencement was published in the N.Y. Mercury, 28 May 1764. It also appeared in the New-York Gazette; or, The Weekly Post-Boy, 31 May 1764. A publick Commencement was holden on Tuesday last, at St. George’s Chapel,6 in this City. The Procession from the College Library, was headed by the young Gentlemen of the Grammar School, to the Number of 50, with their Masters, and then the Students of the College, all uncovered. His Excellency General Gage,7 was pleased to honour the Ceremony with his Presence, accompanied by several of the Members of his Majesty’s Council, the Judges of the Supreme Court, the President8 and Governors of the College, and many of the Clergy and Gentlemen of the City and Country. The President having offered up suitable Prayers, after relating the Occurrences of the preceeding Year, in an elegant Latin Speech, addressed a very pathetic and instructive Exhortation to the young Gentlemen who were to be graduated. Then followed a salutatory Oration, by Mr. Richard Harrison,9 a young Gentleman of Seventeen; which was equally admired by the Audience, for Elegance and Purity of Diction, Propriety of Sentiment, and the graceful Elocution with which it was delivered. To this masterly Performance succeeded a spirited and sensible English Dissertation, on the Happiness and Advantages arising from a State of Peace, by Mr. John Jay. The Audience was next entertained with a Dispute in English, on the Subject of national Poverty, opposed to that of national Riches; masterly discussed, by Messrs. Jay and Harrison. A Syllogistic Dispute in Latin, on the Question—An Passiones sint indifferents10 was next handled by Messrs. Van Dyck and Holland,11 with great Precision and Judgment. These Performances being ended, the President conferred on the Candidates their respective Degrees. Mr. Van Dyck then acquitted himself with great Honour, in an elegant and pathetic valedictory Oration, pronounced with very becoming Emphasis and Gestures. The Whole was concluded with a Prayer applicable to the Occasion. The numerous and polite Audience expressed great Pleasure and Approbation at the Performance of the young Gentlemen, and the Order and Decency with which every Thing was conducted. The Gentlemen who attended the Procession, returned in the same Order to the College-Hall, and dined together in Honour of the Day. It would be injurious to the Reputation of the College, not to observe, that ample Amends were made for the Number of Candidates, by the Display of their Proficiency in the Elegance of their Performances. 1Samuel Johnson (1696–1772), a Yale graduate of Yale, was ordained a Congregationalist minister in 1720. He became skeptical of the “Connecticut Way” and was a follower of Bishop George Berkeley and in 1722, sailed to England to seek holy orders in the Anglican Church. Johnson was ordained in 1724 and became a missionary for the Society for the Propagation of the Gospel in Foreign Parts (S.P.G.). He served as president of King’s College from 1754 to 1763. 2 The Laws of King’s College in Force during Dr. Johnson’s Presidency, 29 Aug. 1760. AD, in the hand of JJ, signed by JJ and Samuel Johnson, NNC. 3Myles Cooper (1737–85), M.A., D.C.L., LL.D., Anglican minister, president of King’s College, and Loyalist. Cooper was born in England, earning his B.A. and M.A. from Oxford in 1756 and 1760, respectively. He was ordained in 1761. In the years immediately preceding the Revolution, Cooper wrote numerous Loyalist pamphlets, and became a target of mob violence on 10 May 1775, legendarily saved by student Alexander Hamilton. He returned to England shortly thereafter. 4 Statutes of King’s College in the City of New York, adopted 2 March 1763. AD, in the hand of JJ, signed by JJ and Myles Cooper, NNC (EJ: 12960). 5JJ, Memoranda, 1817 (EJ: 12954). William Jay, The Life of John Jay, 1: 14–15. 6St. George’s Chapel, constructed between 1749 and 1752 on the corner of Chapel Hill, now Beekman Street, and Van Cliff Street, now Cliff Street. It was built by Robert Cromelin, who also built the King’s College buildings. 7General Sir Thomas Gage. Gage succeeded Jeffrey Amherst, first as acting commander in chief for North America in 1763 and then as commander in chief in 1764, making his headquarters in New York. 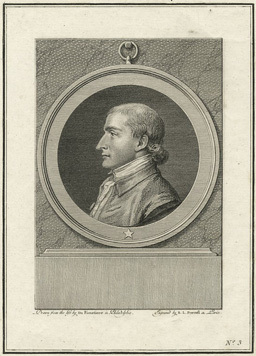 9Richard Harison (1747–1829), B.A. 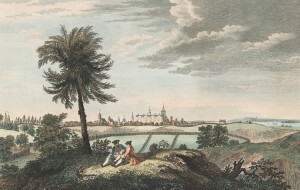 King’s College 1764; M.A. King’s College 1768; LL.D. Edinburgh 1792; delegate, New York State convention to ratify the Constitution; member New York Assembly, 1788–89, for New York County; U.S. district attorney, New York, 1789–1801; and recorder, New York City. Thomas, Columbia U. Officers and Alumni, 1754–1857, 99. 10An Passiones sint indifferents: literally, “whether the passions are indifferent,” meaning “whether the passions are neither good nor evil.” “Passiones” in this case refers to the modern “emotions.” The correct Latin is An Passiones sint indifferentes. Translation and comments by David M. Ratzan. 11Henry Van Dyck (1744–1804), D.D. Rutgers 1792, and Henry Holland (d. 1806), member of the New York Assembly 1761–69, were members of the class of 1761 who received their M.A. degrees in 1764. Fuld, King’s College Alumni, 98.